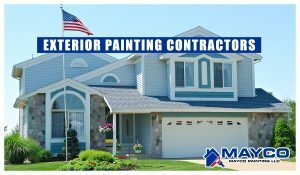 Mayco Painting, LLC takes pride in knowing we do everything possible to ensure your paint job looks fantastic. Sometimes though paint failure can happen, even after the most thorough prep work. We stand behind our work with a rock solid 2 year warranty on all of our painting projects. 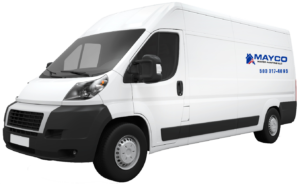 If paint failure appears within the first 2 years we will supply the painter and the paint to make sure it’s fixed. While this warranty covers paint “failure” it does not cover damages that may have been caused by you, by accident, by abuse, nature or neglect. So in English, if you notice the paint is starting to crack or peel in a certain location we’ll come and fix it. If one of your children puts his foot through the wall, we cannot cover the paint with our warranty.